Eight different players scored as No. 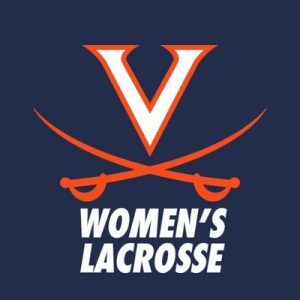 16 Virginia opened the 2019 season with a 15-12 win over No. 13 Navy on Saturday afternoon at Klöckner Stadium. Senior Avery Shoemaker led the Cavaliers with seven points on four goals and three assists. Fellow senior Maggie Jackson had four points with one goal and three assists. Junior Nora Bowen had her first career hat trick. Four freshmen scored their first collegiate goals in the game. Junior Charlie Campbell had a career-high 12 saves in her first start in the net for the Cavaliers. UVA (1-0) was down 4-1 through the first 28 minutes, with the lone goal by freshman Annie Dyson. The Cavaliers would close the half on a 5-0 run to lead 6-4 at the break. Shoemaker bookended the run, while junior Sammy Mueller, Jackson and freshman Grayson Offutt added to the run. The Midshipmen (0-1) scored just 43 seconds into the second half, but Offutt connected with Mueller for a goal and Bowen scored on a free position to keep UVA in the lead 8-5. Freshmen Courtlynne Caskin and Lillie Kloak added goals to stretch the lead to 10-6 with 18:41 to play. Navy pulled within two, 13-11, and won the ensuing draw but Campbell came up with a big save that led to Shoemaker’s fourth goal of the game. Offutt added another goal to seal the victory. The No. 6 Virginia Cavaliers fell in the season opener against the No. 4 Loyola Greyhounds, 17-9, on Saturday at the Ridley Athletic Complex. The Greyhounds’ goalie, Jacob Stover, was hot between the pipes, saving 18 shots by the Cavaliers. UVA opened the game with an extra-man goal by junior Dox Aitken 48 seconds into the game on a Michael Kraus helper. Loyola outscored UVA 8-3 the rest of the first half to take a four-point lead into the intermission, 8-4. UVA (0-1) was leading 1-0 when a 3-0 Loyola run gave the Greyhounds the lead for good, 3-1. Two goals by Loyola’s Pat Spencer sparked a five-goal first quarter for LU. After being outshot in the first quarter, 15-6, the Cavaliers managed 13 shots in the second quarter but only managed one goal as Stover made six saves in the second quarter. Stover made seven saves in the third quarter as the Greyhounds (1-0) started to pull away from UVA. Loyola picked up 11 ground balls in the fourth quarter and outscored UVA 5-2 in the final frame to solidify the win. Spencer and Kevin Lindley each scored five goals in the winning effort for Loyola, while Spencer also added two assists. With three goals, Aitken has scored 11 career goals at Loyola’s Ridley Athletic Complex. Aitken now has 71 career goals, which places him No. 12 all-time at UVA in career goals among midfielders. Matt Moore had a career-high three goals and five points. Kraus extended his active game streak with a point to 34 games, which is the fourth-longest active streak in the nation. UVA lost a season-opening game for only the second time in 12 seasons and for the first time since 2016 (vs. Loyola). “Fantastic overall effort from the entire Loyola team,” said UVA coach Lars Tiffany. “It would be easy to focus on a Herculean effort by their goalie, Jacob Stover, and certainly look at potentially the nation’s best player in Pat Spencer and what those two did, but that would take away from the entire team effort that we encountered. Virginia returns home on Feb. 16 when No. 13 Lehigh comes to Klöckner Stadium for the 2019 home opener. Faceoff is set for noon and the game will be broadcast live on ACC Network Extra. The Cavaliers used wins at six weight classes, including bonus points at four, to pick up victory on Saturday as No. 23 Virginia took down Duke by a score of 26-17. Sophomores Louie Hayes, Jake Keating and Jay Aiello all picked took bonus-point victories, while redshirt-freshman Cam Coy and junior Tyler Love both won by decision. 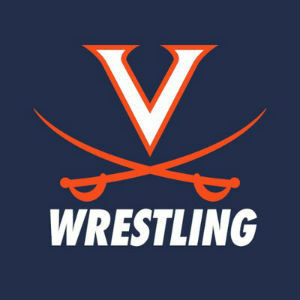 Junior Jack Mueller added six points to the Virginia team score as he won by forfeit. Mueller, who is the fifth-ranked wrestler at 125 pounds, got things started with a six-point victory for the Cavaliers (12-8, 1-2 ACC) as Duke forfeited the weight class to the All-American. Hayes then followed things up with his bonus-point win at 133 pounds, taking on Duke’s Arien Leigh who bumped up to wrestle at 133 pounds instead of wrestling at 125 pounds. Hayes controlled things from the start with Leigh, rolling to a 17-1 technical fall at the end of the second period that included 4:30 of riding time. Duke (2-7, 0-3 ACC) then won the next two weight classes, taking a decision at 141 pounds as sophomore Scott Kiyono got a reversal on Duke’s Josh Finesilver right before the buzzer negate the chance for bonus points. The reversal cut the win to a decision for Duke. The Blue Devils then picked up a major decision at 149 pounds as sixth-ranked Mitch Finesilver took the win over Michael Murphy. Back-to-back wins for the Cavaliers at 157 pounds and 165 pounds pushed the home team out to a 12-point lead in the overall dual score. Keating turned in the tech fall over Duke’s Ben Anderson at 157 pounds, racking up 23 points in his victory before Coy ground out a 5-2 decision over Zach Finesilver at 165 pounds. The Blue Devils then won the next two weight classes as No. 16 Matt Finesilver took the 14-4 major decision over Robert Patrick at 174 pounds and Kaden Russell won with a defensive pin of Will Schany at 184 pounds. The two wins cut the overall lead to two points for the Cavaliers at 19-17. Aiello picked up his 20th win of the season, taking a 12-3 major decision over Alec Schenk at 197 pounds before Love locked up the dual with his 8-6 decision over Araad Fisher at heavyweight. Virginia will return to action next weekend, going on the road to face No. 11 Virginia Tech in the Commonwealth Clash match at 7 p.m. on Saturday. Junior Jordan Scott led the Virginia men’s track and field team on Saturday as members of the team closed competition at the Tiger Paw Invite at the Clemson Indoor Track and Field Complex in Clemson, S.C., and the Iowa State Classic at the Lied Recreational Center in Ames Iowa. With his first attempt at the meet, Scott set a UVA record in the triple jump reaching 16.87m (55’4.25”). Three jumps later, he would top the performance with a mark of 16.90m (55’5.5”) to finish the day in second place. In addition to setting a school record in the event, Scott’s performance ranks second in the NCAA this season. Two Cavaliers recorded a career-best time in the 200m dash as sophomore Jordan Willis captured the second-fastest time in school history, a ranking he already held, with a time of 21.69. He finished 12th in the meet. Sophomore Brandon Outlaw captured UVA’s ninth-fastest performance in history, finishing the day with a time of 21.95 for 24th place. On the women’s side, redshirt senior Mia Barron and freshman Zoe Rice recorded season-best jumps in the triple jump. Barron finished fourth with a mark of 12.61m (41’4.5”), while Rice captured a distance of 11.71m (38’5”) for 18th place. Junior Anna Jefferson and redshirt freshman Halle Hazzard finished 10th and 11th, respectively, in the 200m dash. Jefferson ran a season-best time of 24.23, while Hazzard finished with a time of 24.26. Freshman Sydney Coppolino ran a personal-best time of 2:15.67 in the 800m run, finishing 18th in the event. At the Iowa State Classic, sophomore Brittany Jones topped the shot put, recording a career-best mark of 15.61m (51’2.75”). The Virginia men’s team paced two events, as senior Nace Plesko captured a career-best mark of 18.71m (61’4.75”) in the shot put to win the event. In the high jump, junior Brenton Foster topped the event, clearing a height of 2.20m (7’2.5”) as freshman Trey Causey captured the day’s second-best height with a jump of 2.06m (6’9”). Junior AJ Ernst ran a career-best time in the mile with a time of 4:05.43 for 15th place. 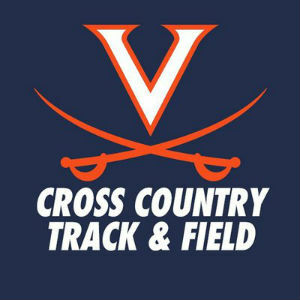 Virginia will return to action on Saturday, sending members of the team to the JDL DMR Invitational in Winston Salem, N.C., and the Alex Wilson Invitational in Notre Dame, Ind. Virginia dropped decisions to No. 6 Georgia and FAU on the second day of the FAU First Pitch Classic at the FAU Softball Stadium. The Cavaliers (0-4) gave the sixth-ranked Bulldogs a run in the opening game of the day, but Georgia’s prolific offense caught fire in the final two frames to open up a 15-7 win. In the nightcap, Virginia fell in a pitchers’ duel to FAU, 1-0. No. 6 Georgia scored seven times in the final two innings to ice away a come-from-behind victory over Virginia in the first game of the day. Georgia struck first in the opening game of the day, capitalizing on a Virginia error to score two unearned runs in the top of the first. Freshman Clare Zureich hit a batter and walked another, but had Virginia seemingly out of the inning with a ground ball. The throw to first was muffed, allowing a run to score. Another hit-by-pitch pushed a second run across for the Bulldogs. Virginia answered right back in its half of the inning, as Hayley Busby led off with a single through the left side. After a walk put two aboard, Lacy Smith drove a two-RBI double into right center field to tie the game. A single from Arizona Ritchie and double from Donna Friedman put Virginia in front 3-2 after the first. The Cavaliers expanded their lead in the second, as freshman Bailey Winscott set the table with her first collegiate hit. Busby followed with a double to left center to put runners at second and third with one out. Senior Erika Osherow plated Winscott with a sacrifice fly to right, making it a 4-2 ball game. A five-run top of the fourth swung the lead back to Georgia. A lead-off walk chased Zureich from the circle and another walk put a pair aboard. Freshman Aly Rayle entered and intentionally walked Georgia star Alyssa DiCarlo to load the bases. Rayle got a strikeout for the second out, but a triple from Alysen Febrey put the Bulldogs ahead 5-4. A double followed to extend Georgia’s lead to 7-4. Virginia pulled a run back in the fifth with a Busby double and an RBI-triple from Osherow, making it a 7-5 ball game. Georgia came right back in the fifth, scoring a single run on a sacrifice fly. A seeing-eye single and a blooper scored three more for the Bulldogs before DiCarlo doubled to make it 12-5. Georgia would add a solo home run in the top of the seventh and benefit from a pair of Cavalier errors to build a 15-5 lead. The Cavaliers notched a pair of runs in the bottom of the seventh on RBI-singles from Olivia Gott and Friedman to make the final score 15-7. Zureich was strong in her first career start, going 3 2/3 innings and allowing just two earned runs. She worked the first three innings with just two unearned runs on her line. The freshman struck out a pair and surrendered just an infield single on the day. Rayle (0-1) was charged with the loss, surrendering three runs in her work. Virginia and FAU locked horns in a pitchers’ duel early in the nightcap. Both teams were held scoreless through three innings, as Osherow fanned three Owls in the early going. On the other side, FAU freshman Syklar Whitty (1-0) was perfect through four innings. FAU manufactured the first and only run of the night in the fourth. A single up the middle from Mia Olsen was followed by a sacrifice bunt to set the table. Lauren Whitt delivered for the Owls with an RBI-single to center. Gott broke up the Owls’ bid for perfection with a four-pitch walk to open the fifth. An inning later, Ashlee Davis broke up the no-hitter with a single to left field. Pinch runner Molly Keshin swiped a pair of bags, but was left stranded at third. 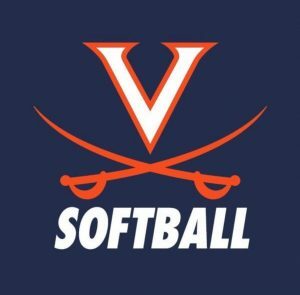 Virginia would threaten again in the final inning, as an error put one aboard and Friedman singled to put Hoos at second and third. A comebacker to the mound ended the rally and gave FAU the 1-0 victory. Osherow (0-1) was stellar for a second-straight outing to open the season. The senior tossed all six innings, allowing just the one run on five hits. All five hits were singles and Osherow fanned five while not issuing a walk on the night. Friedman had three hits on the day and has now hit in all three games she has played. Osherow has now tossed 11 2/3 innings and allowed just one run on six hits. Emma McBride made her collegiate debut and first start in Saturday’s games. Virginia caps the opening weekend of play with a 9 a.m. first pitch against St. John’s (1-3) on Sunday morning.